Joe Jonas is flaunting his body of work … 16 weeks of intense workouts to be exact. The DNCE frontman bulked up and then shredded by weight training and boxing at Unbreakable Gym in West Hollywood. The gym’s co-founder (and ‘NFL On FOX’ star) Jay Glazer says Joe committed to a pro-athlete training regimen that included specific caloric intake and two-a-day workouts. 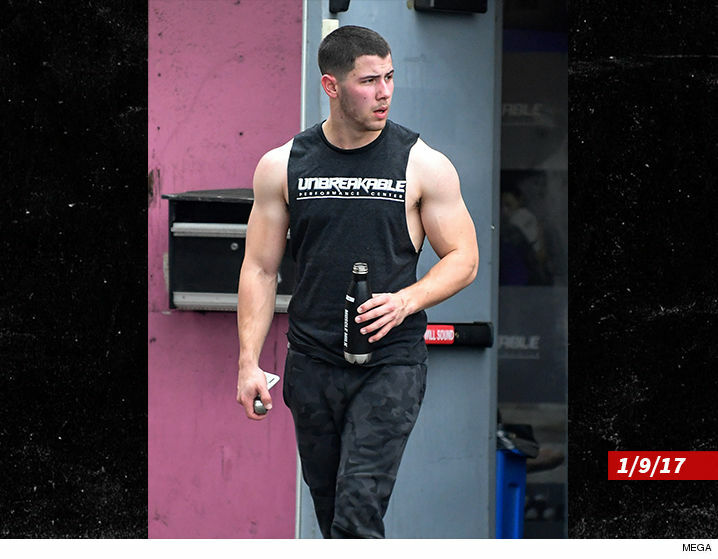 Can’t argue with Joe’s results, but here’s the thing — his little bro, Nick, also works out at the same gym, and recently showed off a bulkier physique.